Come in by this Thursday, Dec 10, and see this year's beautiful stockings and vote for your favorites. And...if you missed the deadline for bringing in your stocking (to be eligible for prizes), you can still bring in your finished stocking by this Thursday. It will make a child very happy. 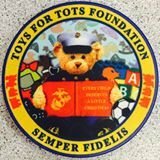 And remember, we are also a drop-off location for Toys for Tots. Please bring new toys to the shop before December 15, and help make Christmas joyful for all the children in Sacramento. All of our Christmas fabrics are now 25% off!!!! Come in and get your favorites before they're gone. Feeling that you can't take on any more projects before Christmas? Buy fabric now for next year's projects! Save $$ and give yourself lots of time for 2016 holiday projects! -OR- 1:00 - 4:00 p.m. -OR- Sat, Dec 12, 1:00 - 4:00 p.m.
From Red Rooster Studios (how appropriate for Fair Oaks! ), we have "Botanicals". This is a collection of 25 neutrals, beiges and greys, light to medium dark. These are great for traditional or modern quilts. From Free Spirit, we received six bolts of "Butterfly Garden" by Dena Designs. "Lovely florals and detailed butterflies dance upon beautifully colored backgrounds and sophisticated coordinates in this unique collection suitable for any sewing project."